Looking to increase conversion rates or simply build a new e-commerce site the right way from the start? Please call us toll free at 877-GO-RUSTY or email us. 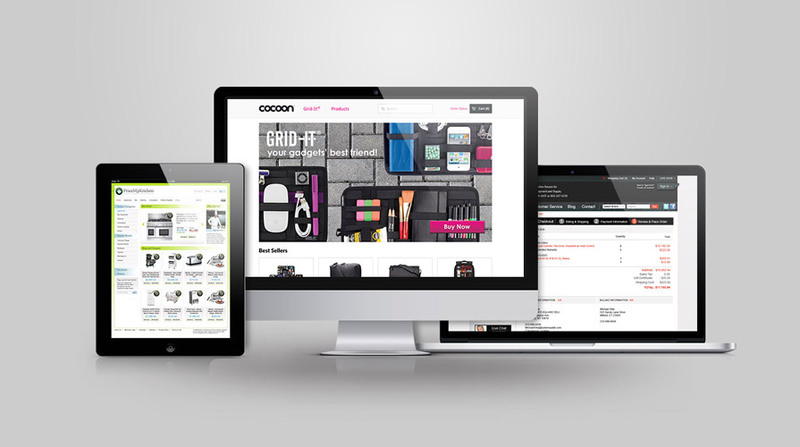 E-Commerce Web sites have exploded on the Web in the past few years. There are millions of different e-commerce sites. So why should the customer buy from you instead of the competition? The answers are readily available, but hard to implement correctly on your e-commerce site. Firstly, the site must look and feel like the retail store that customers are used to; suggesting that they are purchasing from a dependable and trustworthy company. The second requirement, and just as important to the design of the site, is usability. The majority of customers at your site know what they want and want it fast. An e-commerce site must show the customer what they want in the way they want to see it. After the customers finds what they want, they need to be able to purchase the item(s) swiftly and easily. RustyBrick integrates the e-commerce site to work seamlessly with your bank and the customer's credit card; ensuring minimal effort for both your customer and you. Also, shipping, tax, returns, etc. should be handled simply and conveniently. The complexity of your business should be transparent to your customers. Our designers are trained in motivating your customer to buy from your e-commerce Web site. Our backend solutions are crucial in the keeping your Web business profitable. We provide numerous tools — that fit within your budget — to increase productivity and efficiencies of your operations. For a listing of selected e-commerce sites developed by RustyBrick, please visit our portfolio section. For a demo of our productivity enhancing and workflow processes control systems, please schedule a meeting with us. Call us at 845-369-6869 x0 or email us at info@rustybrick.com. We are located 40 minutes from New York City. We can create the custom solution for your unique e-business and idea. Call or e-mail us today!